​Like father, like son to the extreme. Yes, we're all blown away by Ken Griffey Sr. and Jr., the gold standard in the MLB in terms of impressive family feats. And while ​Vlad Guerrero Jr. and his pops will never bat in the same game (unless...), they've certainly got the Griffeys beat in terms of similarity. For those of us who believe Junior deserves to be called up soon (those of us on the right side of history), feast your eyes on the pair's stats. ​Vlad the Elder got exactly 1,055 minor league at-bats before his promotion, and that's where his son's at now. The mirror image nature of these numbers is mind-boggling. The younger Vlad caught his dad in terms of RBI and walks by a wide margin. The dinger count favors pops, which we didn't completely expect; after all, don't y'all remember rail-thin 1995 Guerrero? Regardless, everything about this profile screams, "Promote him now!" It'd be amazing to forgo the service time snafu and just let both men enter the bigs with the exact same number of ABs, but no. That's too pure for the modern game. 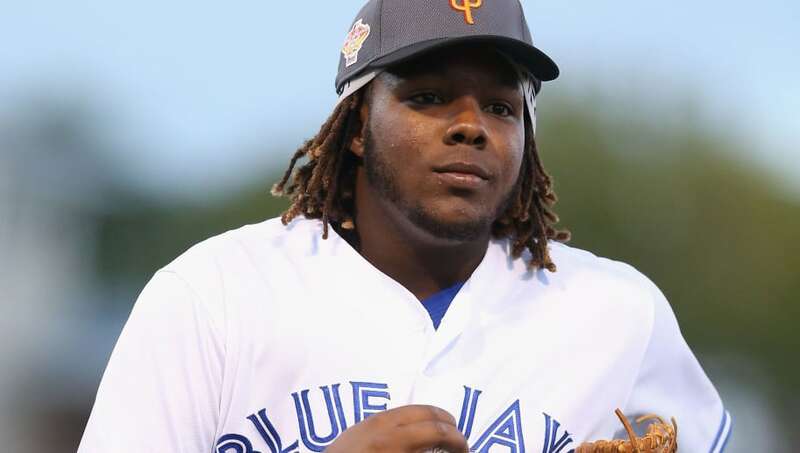 Maybe just sit Vlad Jr. until he can safely be promoted in a week or so? The man's proven enough to get a shot to equal his father at the next level, too.